Taking eclipse photos with their beloved broadband structures in the foreground proved to be a daunting task for tower climbers yesterday as they tried to capture the first coast-to-coast total eclipse of the sun in the past 99 years. And using NASA’s suggestion to take your ISO certified sunglasses and put them in front of your smart phone camera’s lens in most cases just provided a glowing fuzzy thumbnail as your auto focus settings went haywire. Cipov Enterprises’ crew members take a break to watch the total eclipse in Sumter, S.C. The next total solar eclipse in 2024 will provide Texas tower crews with the catbird seat for viewing and probably they’ll be shooting with their eclipse-friendly smartphone cameras. But the industry still enjoyed watching the eclipse no matter whether they were in the totality path or only saw 75 % in South Florida. 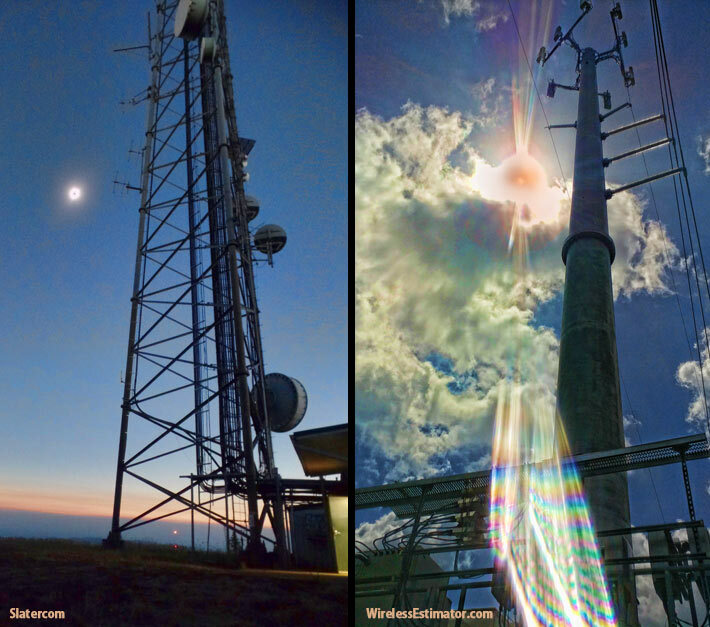 Slatercom of Salem Ore. was the first industry company in America that could witness the eclipse at 9:18 a.m. PDT, and Al Slater took several photos at their Prospect Hill tower site location at approximately 1,200’ AGL, just South of Salem. The above photograph at left was taken just moments before the total eclipse. 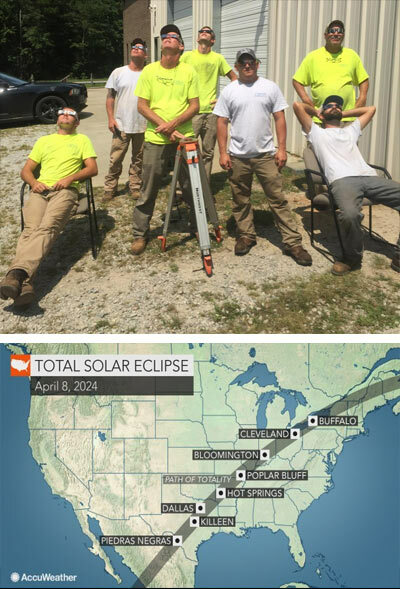 Employees from Cipov Enterprises of Sumter, S.C. enjoyed knowing that they were the last tower crew in America to see the total eclipse at 2:48 p.m. EDT, but they weren’t able to capture any photos with their phones which did not cooperate in relaying what they saw. The next total solar eclipse will be in 2024. Considering how many advances there have been in cell phone cameras in the past seven years, by 2024 it’s likely that new cameras will have considerably more bells and whistles and possibly be provided with a built in solar eclipse filter.